In 1883, prisoners previously transported by wagon were now loaded onto a Northern Pacific rail car and escorted to the Montana Territorial Prison in Deer Lodge. No matter their point of departure, weather and time were no longer much of a factor and the chance for prisoner escape was minimized. 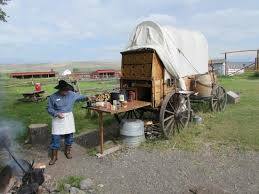 If you were a lawman, the inconvenient job of convict relocation became nearly enjoyable. There's a lot to see and do in Deer Lodge, MT. Come and visit! 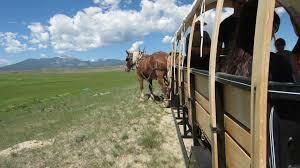 4-H Western Heritage Conference and Invitational Shoot on July 31 - August 2 in Deer Lodge, MT. *Registrations after July 6th will be based on availability. Dr Taylor is considered by many as the premiere scholar on African American history in the West. He is the author of several books, including In Search of the Racial Frontier: African Americans in the America West, 1528-1990, and over fifty articles. In 2007, Dr. Taylor and other volunteers created an online website resource center for African American history called BlackPast.org. The center houses over 13,000 pages of information and features contributions by more than 700 scholars from six continents. Dr. Taylor has taught at universities in Washington, Oregon, California, and Nigeria over his 46-year career in higher education. We are honored to have Dr. Taylor at the 2018 Conference as we explore the many racial groups having significant impact on forming the West. Unlimited Access to World Class 4-H Families for Three Days! DON'T Forget Your Fly Rod. You'll Kick yourself all the way home! The 1st USVI Regiment is a living history organization dedicated to preserving Montana's frontier military history. 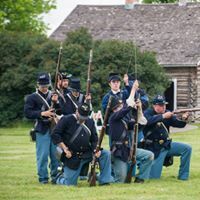 Their goal is to engage and educate people about army life during the Civil War and post-Civil War eras. 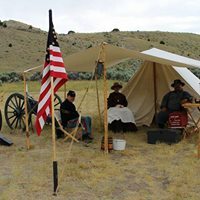 Guests are invited to visit their command tent, artillery battery complete with a functional Gatling gun and 3 inch ordinance rifle (cannon), sample delicious era food prepared by our quartermaster sergeant or tour one of our soldier's private tents and discover how they slept while on campaign. 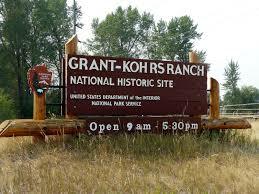 The National Park Service maintains the historic Grant-Kohrs Ranch National Historic Site on the north side of Deer Lodge between the Flint Creek and Garnet mountain ranges. 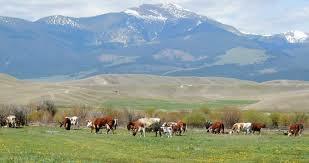 Visitors experience the early cattle industry in Montana beginning with Johnny Grant in the 1850s. 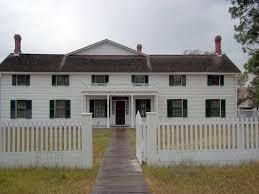 The ranch house, bunkhouse, and many other buildings are well preserved and open to the public and demonstrations of frontier chores and tasks bring the past to life. First discovery of gold at Gold Creek in 1852. Second election, July 14, 1862 (first at Hellgate, July 9, 1855). First hanging, August 26, 1862, C.S. Spillman. Driving of the Golden Spike at the completion of the Northern Pacific Railroad, September 8, 1883. First institution of higher learning, Montana Collegiate Institute which opened September, 1881. Federal Penitentiary, building commenced in 1869 and opened July 2, 1871 for the first prisoners.